Say Thank You with these rich almond butter cake petit fours filled with delicious flavors like Espresso, Triple Chocolate, Raspberry and Pineapple Creme. 2-3 weeks when unopened and stored properly. 4-5 Days (plus transit time). Rush service available. 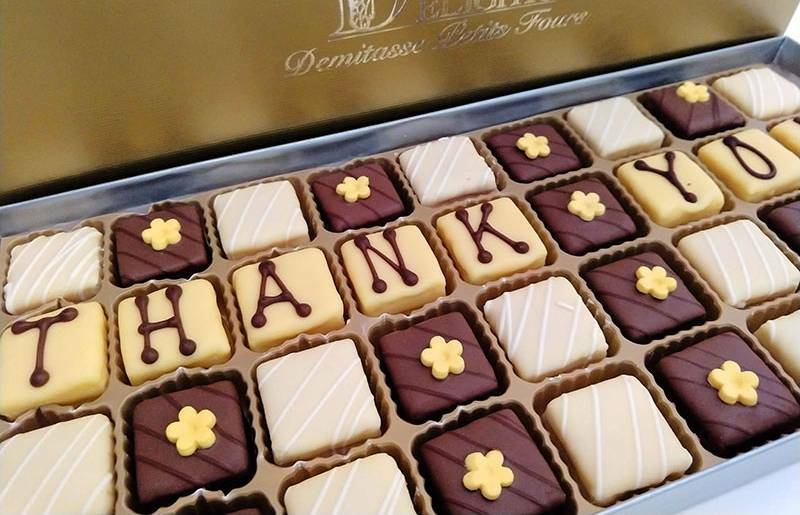 Say thank you with 36 delicious miniature cakes, hand-decorated to spell out your message of gratitude. Each petit four is composed of delightfully moist almond butter cake, layered with fruit and chocolate fillings and coated with gourmet chocolate. These petit four gifts include: Espresso, Triple Chocolate, Raspberry and Pineapple Creme flavors. 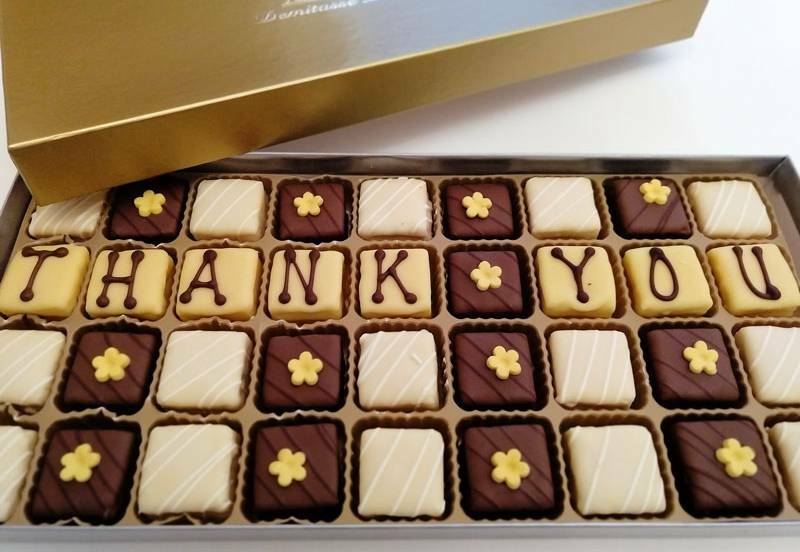 A lovely and unique business gift for colleagues, employees, clients or partners.